A few weeks ago I attended the Boston Blogger meet up as you may have read about in my previous post. Well, while there a fellow blogger and friend of mine raved about this site called Kitchensurfing. Having multiple allergies, she raved about how nice it was to be able to sit back and allow a chef to put together a meal based upon your preferences and needs. KitchenSurfing is essentially a platform for chefs to market themselves. You need a chef? Tell KitchenSurfing how many guests will be attending, your budget, preferred date, and then they will connect you with chefs who then send you their suggested menu and ideas. Not a fan of what they offered? No problem! You can customize your menu and work with the chef before booking your event! KS allows you a variety of options to enjoy a meal in the privacy of your own home. These range from private cooking lessons, to meal deliveries, or a plated meal for you and your significant other or you and many of your friends! You can browse the chefs and then select yourself which one you might like to have cook for you. This is what I did. Or Submit a “Match Request” as detailed above. 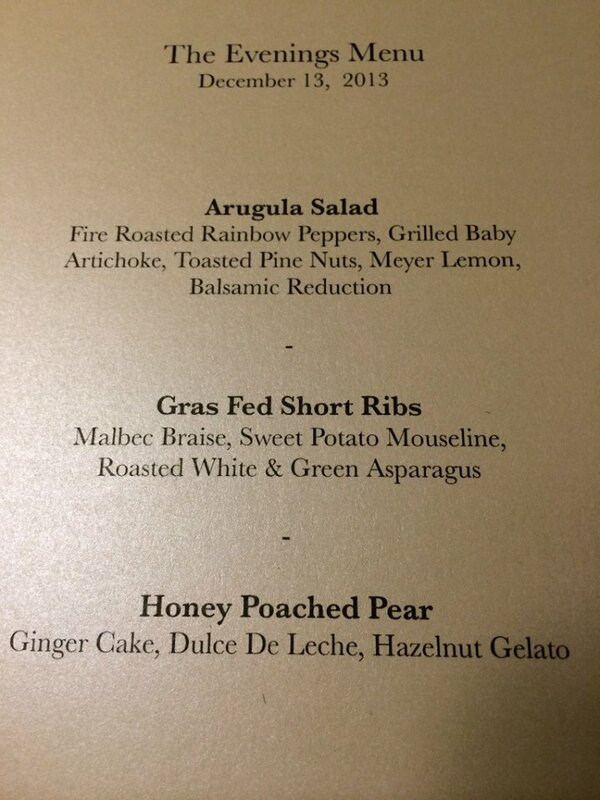 This past Friday Adam, myself, and a few friends enjoyed an incredible 3-course meal with Chef Matthew Harker. 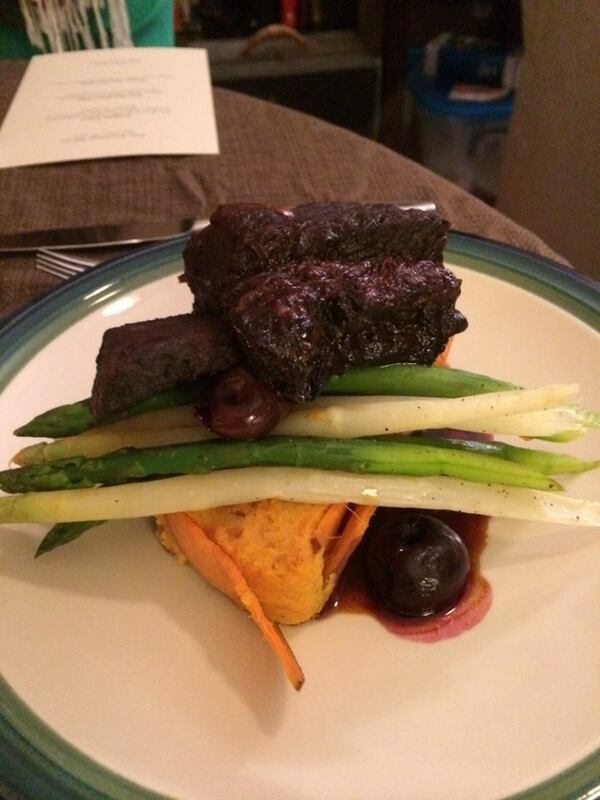 Matt originally had a menu in mind but was willing to work with our dietary needs, wants, and budget. The finalized menu consisted of an arugula salad with fire roasted pine nuts, rainbow peppers, and a balsamic reduction as a starter, Malbec braised short ribs with sweet potato mousaline as our main entree, and a honey poached pear with ginger cake and hazelnut gelato for dessert. Truly impeccable! My guests were quite impressed and it was wonderful to be able to entertain them while not fussing over the meal and being distracted with some of the nuisances of cooking and hosting. We would definitely use KS again! Chef Matthew blew us away with his culinary expertise, his professionalism, attention to detail, perfectionism, and his passion for nutrition and local food. 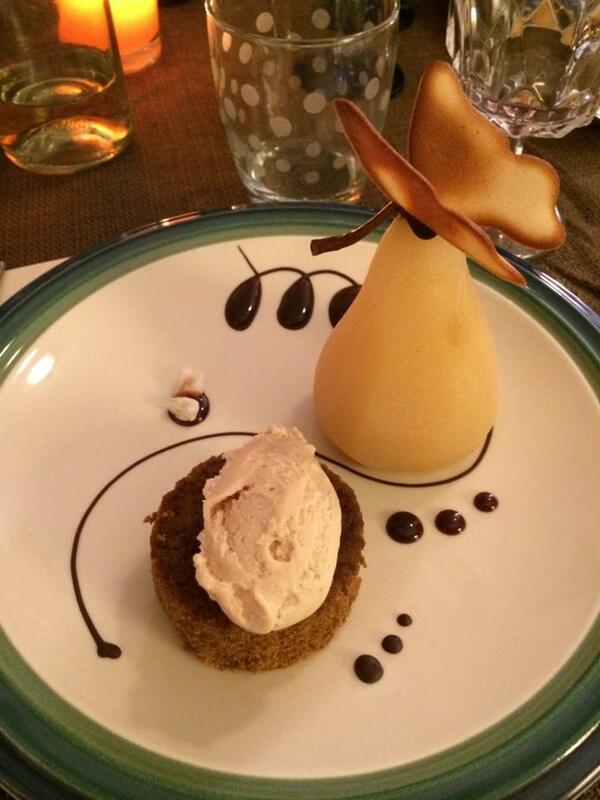 One of my favorite things that Chef Matthew brought for us was the Hazelnut gelato. I specifically asked for hazelnut because it is one of my favorite flavors and Matt did not let us down. This gelato is and will likely remain my favorite. 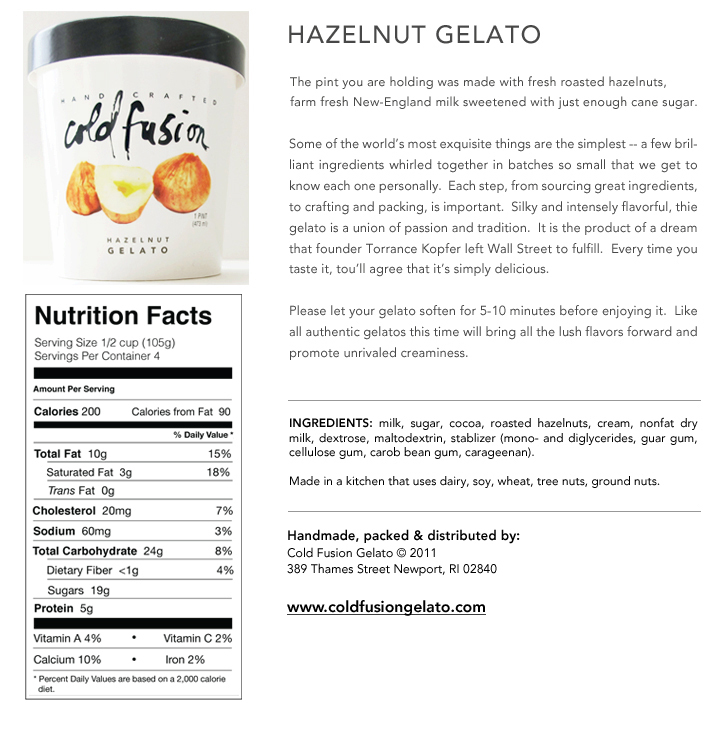 Cold fusion provides hand-crafted gelato that I swear tastes better than what I had in Italy. The ingredients are simple, all natural, and delicious. I chose Chef Matthew due to his extensive background in being a private chef as well as where he pulls his inspiration from, which comes from many Mediterranean influences. Lastly, how could you disagree with his three favorite ingredients (olive oil, blood oranges, and fresh herbs??). Everything was delicious, the presentation was spot on and, he left the kitchen better than he found it when he arrived! He also left us leftovers, which I am eating to this day. Chef Matt clearly far exceeded our expectations and I would highly recommend him to anyone looking to have a private chef come and cook for them. Having a private chef prepare a meal provided the perfect personal experience for me and and my guests. Next event? Definitely a cooking lesson! ahh this looks so awesome shelby!! 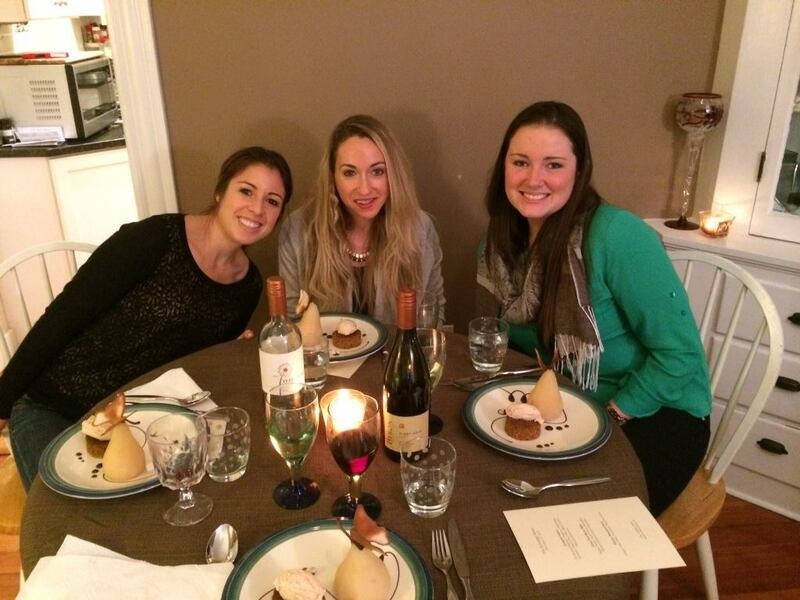 thanks for sharing your amazing meal with us! Shelby this looks great! I would have never thought of hiring a private chef, but what a nice idea, especially knowing how they can accommodate different dietary needs. Looks delicious!! So glad you tried Kitchen Surfing !